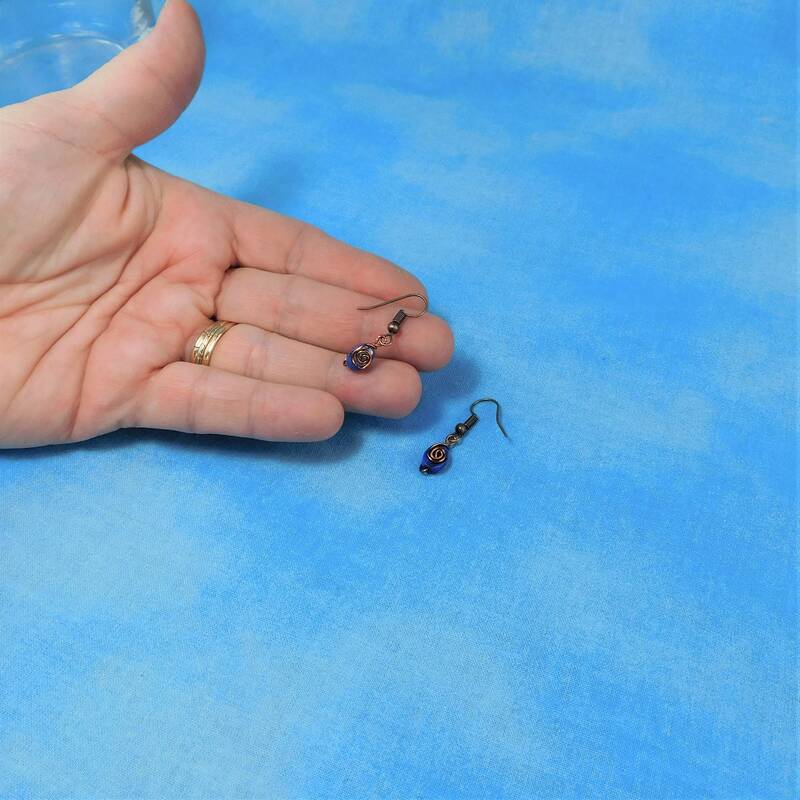 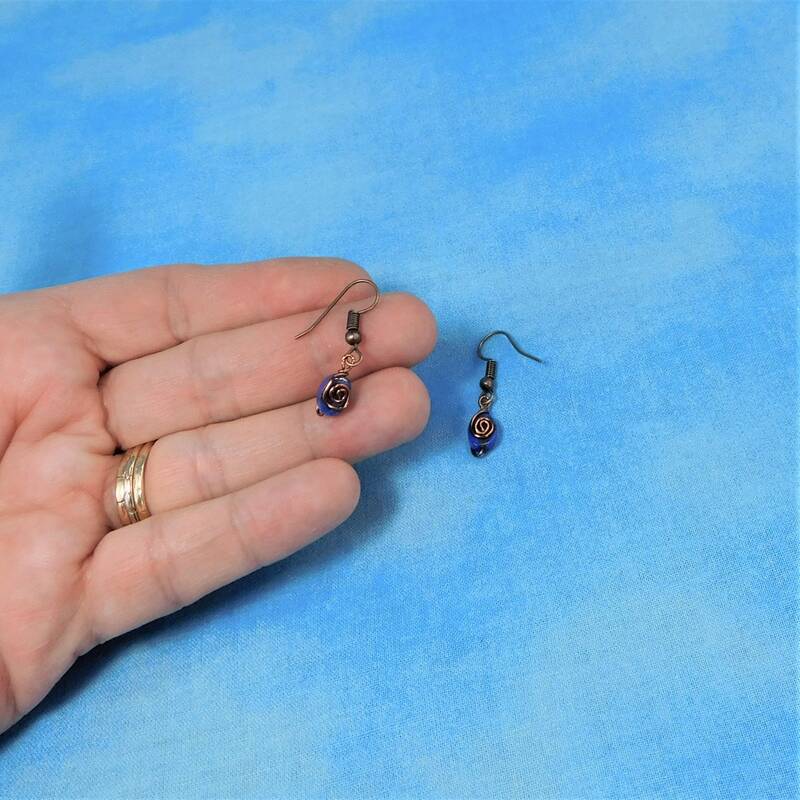 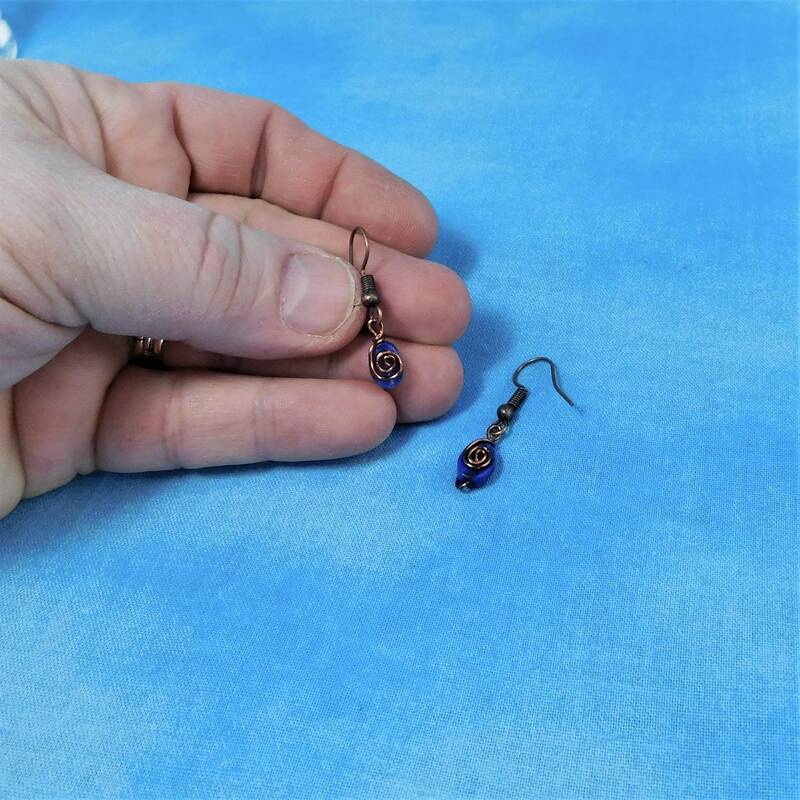 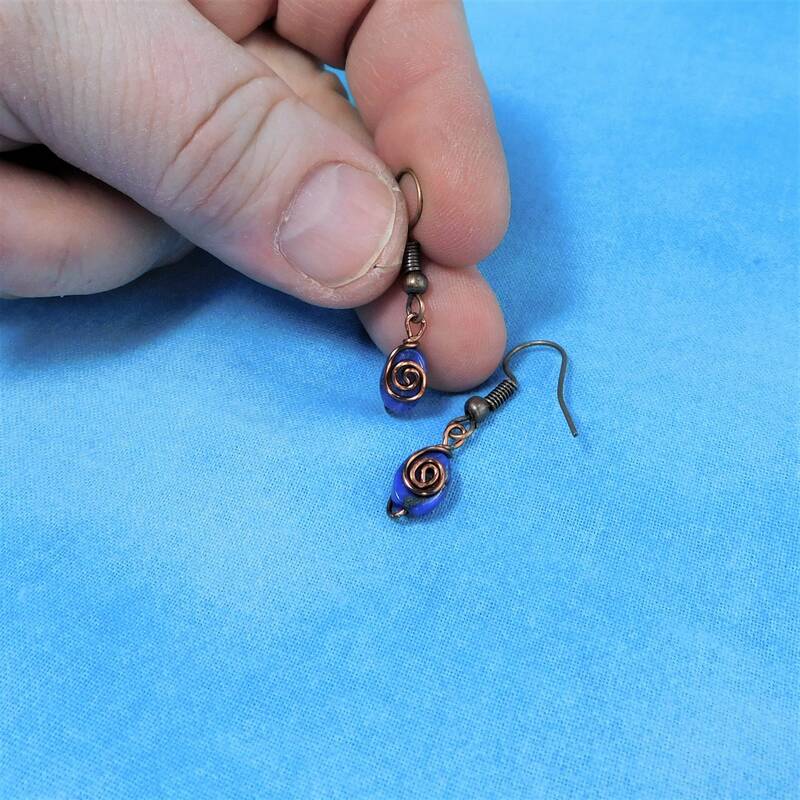 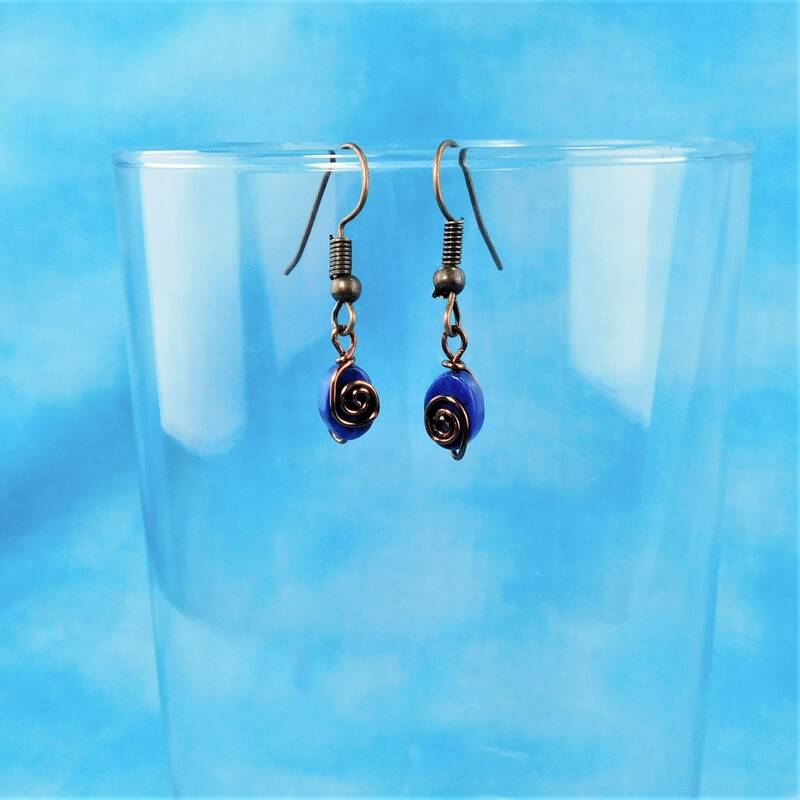 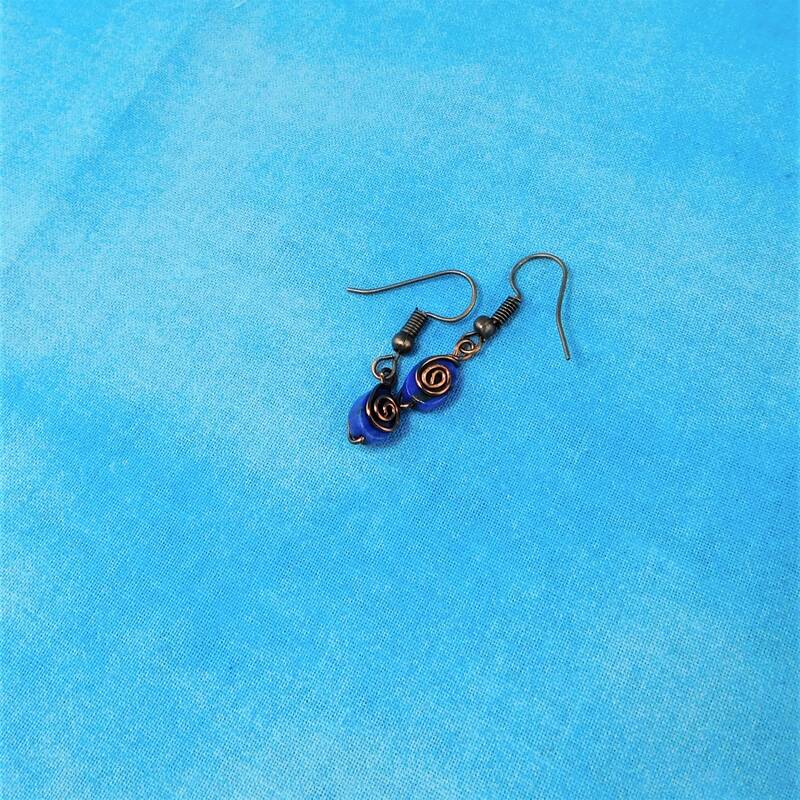 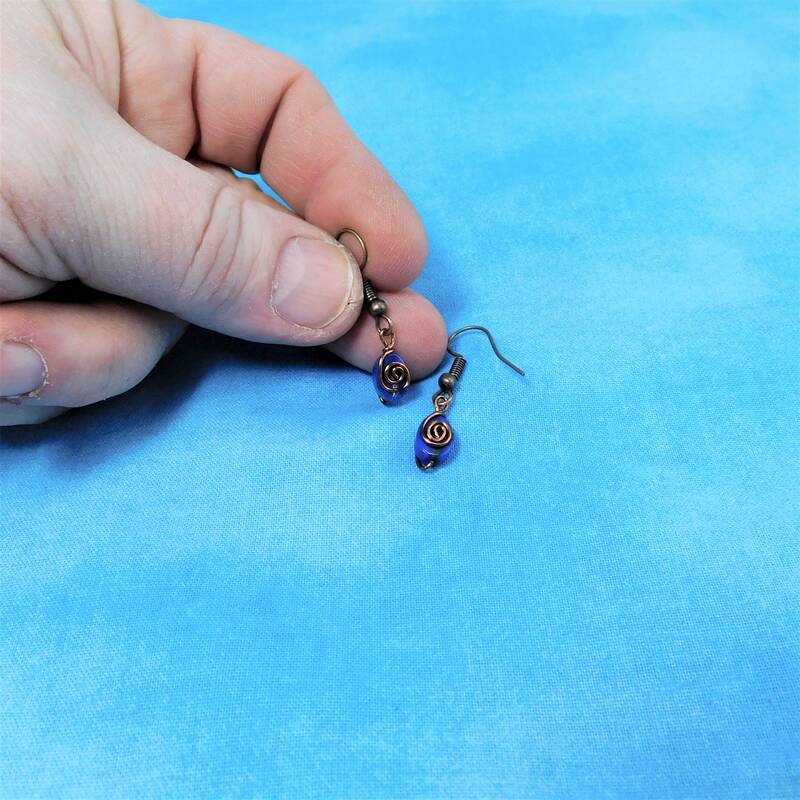 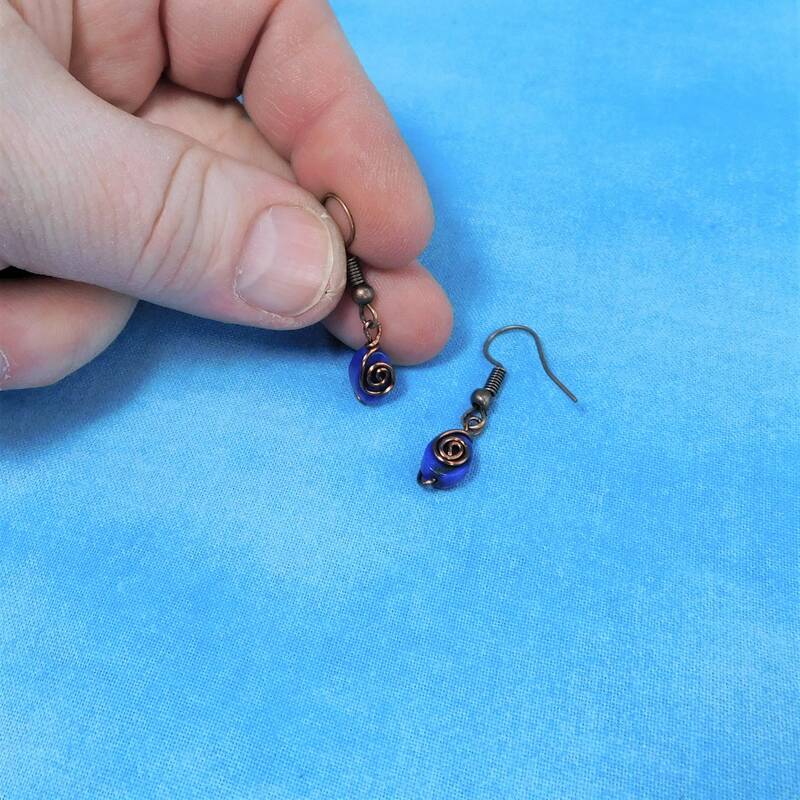 Small carved Lapis Lazuli ovals are wire wrapped in a simple swirl design of antique copper wire, suspended from nickel free fish hook style ear wires. 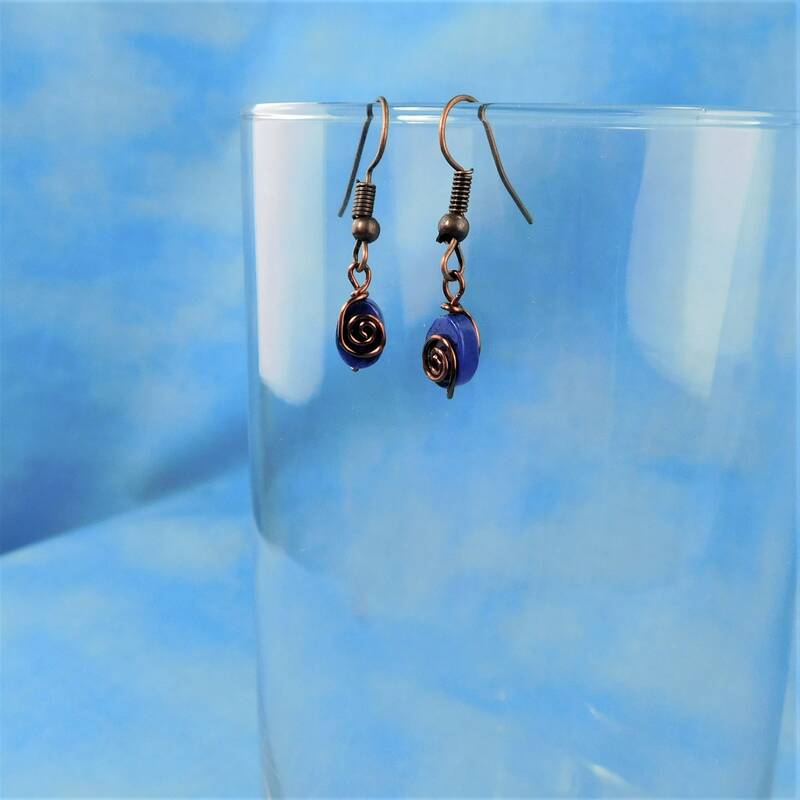 The simple, rustic drops would be the perfect accent for denim, leather, or a fresh white blouse. 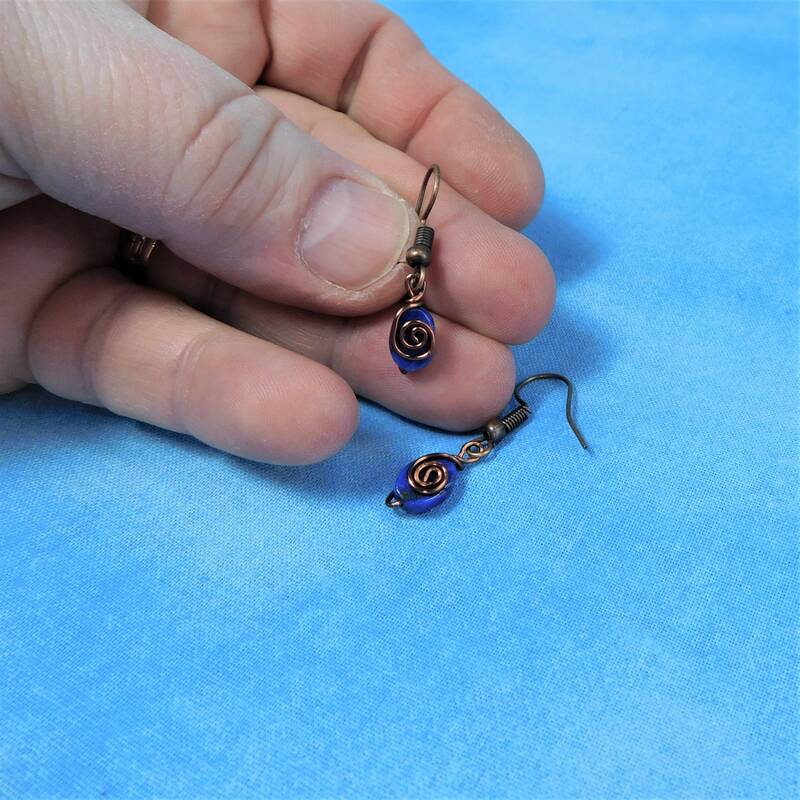 They are small, light weight and very fun to wear.